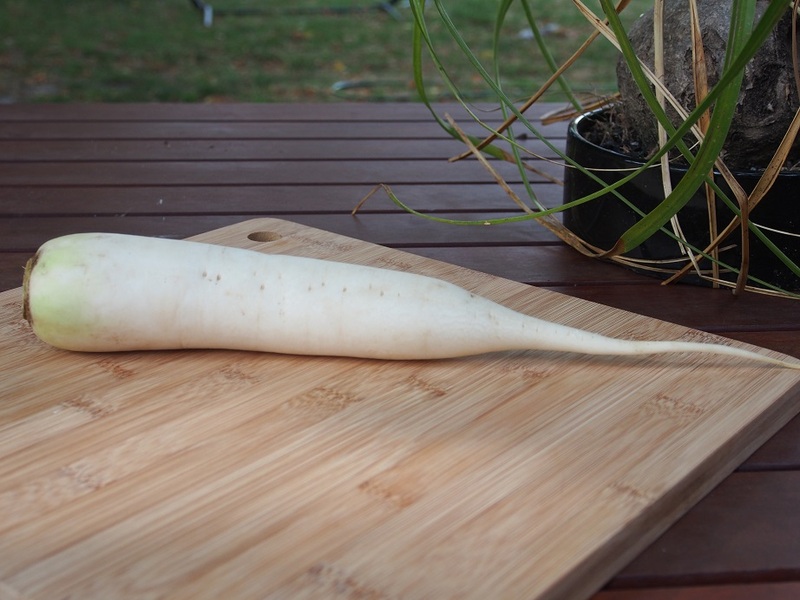 Daikon radish can be consumed raw, juiced or cooked in any way you prefer: boiled, baked, fried… It is also suitable for fermenting as daikon produces excellent probiotics. 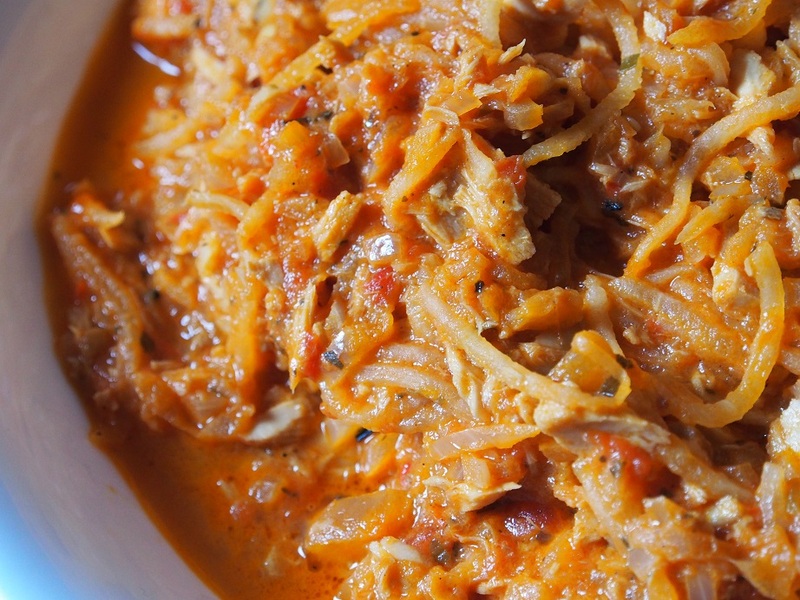 See Fermented Foods. I haven’t been having pasta for a very long time and so I crave it sometimes. There are substitutes for wheat pasta of course, for example konjac pasta. Although konjac is good for filling you up with almost zero calories, I found it difficult to enjoy a konjac dish as much as traditional wheat pasta. A few weeks ago I realised that I don’t crave for the pasta itself but rather I miss the pasta sauces, such as Al Tonno, Funghi and Marinara. Al Tonno radish was my first creation this year. And I am very excited to share it. 1. Discard half of the oil from the tuna can, and pour the rest of the oil out into a deep pan. 2. Cook onion and garlic in the prepared pan with oil on medium heat for 2-3 minutes. 3. In the meantime dice tomatoes, or alternatively use a can of Italian diced tomatoes. 4. Add tuna to the pan and break it into chunks, mix and heat through for about 5 minutes, then add diced tomatoes, herbs and spices. Cook tomatoes on low until soft and the content resembles a sauce. 5. In the meantime, peel the radish and using a special grater or a vegetable spaghetti maker shred the radish. 6. Add sour cream and radish spaghetti to the sauce, mix well, and just heat through. Serve with Parmesan cheese.